At Schmittel’s Nursery, we make it a point to ensure you as a customer receive the best landscaping in St. Louis, MO. Whether a commercial or residential project, we will listen to your input and desires and turn your landscaping vision into reality. Our experienced and professional staff will work with you from start to finish ensuring your project meets your quality and time related standards. We provide both landscape design and installation services. Our landscape design services are for those customers interested in have our trained experts design and install your landscaping project from start to finish. Our landscape installation services are for customers who already have their own personal landscape design or if they need one created for them. If you have any questions or would like additional information regarding our services, we invite you to contact us or stop by our nursery in Maryland Heights, MO. Since 1994, we have offered unparalleled landscape designs in St. Louis. Our at home consultation with a professional landscape designer will collaborate with you to create a design that best expresses the personality and style of both you and your home. 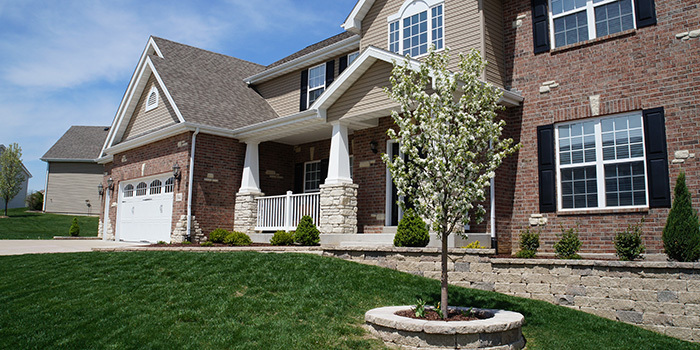 Added value to your home and a fresh new look is easy with Schmittel’s qualified landscape design staff. 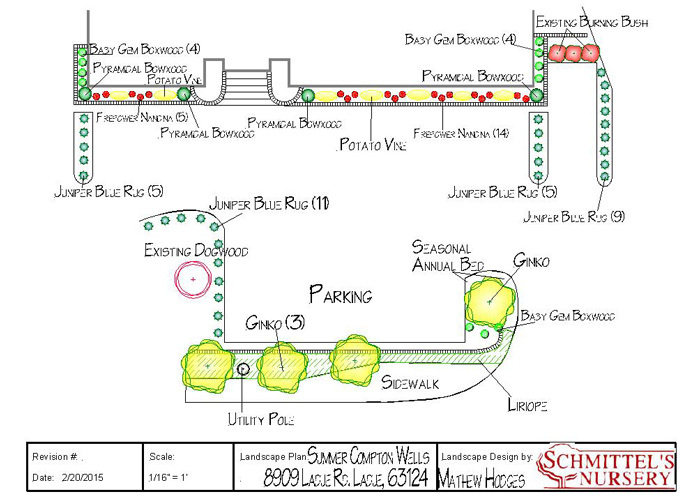 Let us handle the entire landscape design process. From design, permits, plant selection, renovation and installation to the final walk through. Your satisfaction is our business. We offer a free landscape design consultation to start the process… from there we will determine which landscape design is best for you. If you decide to go with our design, our landscape installation team can help you complete your project from start to finish. Schmittel’s Nursery offers landscape installation services in St Louis, MO. At our nursery, we stock a large inventory of landscaping materials that will help you complete your landscaping project. Whether trees, flowers, or shrubs we can help you select what you are looking for and install them for you. In addition to plant material we also can construct retaining walls, patios, fire pits, and/or water features. If you have any questions regarding our landscape installation services, feel free to contact us or stop by our nursery in Maryland Heights. Our professional staff looks forward to assisting you.